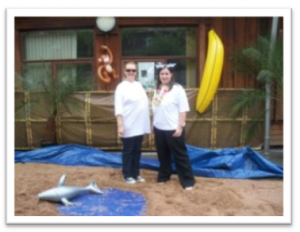 Highcroft Hospital organised a “beach holiday” for their patients, in Birmingham! Star Wards helps mental health wards be more therapeutic and even fun places to be. Star Wards works with mental health wards to improve everyone’s experiences of being on them – patients, staff, friends and family. People are going through the darkest of times when a psychiatric inpatient, and staff do a heroic job of supporting us back into a more manageable state. We’re a tiny charity and are able to have a big impact on the quality of inpatient care thanks to the energetic and enthusiastic response of staff and patients to our resources, approaches and ideas. Whatever we produce (eg a new practical guide) is adapted and developed by the wards themselves, giving them a strong sense of ownership and commitment. There’s a quick summary of our impact below. We are so touched and grateful for the donations we receive and for the generosity of all those who share our zeal for making all mental health wards wonderfully therapeutic. 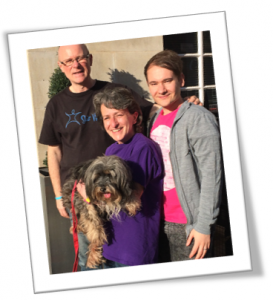 To donate to Star Wards, and help mental health wards to flourish, please click here! 650 mental health wards (about 80% of UK mental health wards) are members. When we became involved with Star Wards it was WOW. It still delivers the WOW. The website is constantly updated and it’s great to receive updates and to see what other wards are doing also and discuss and share these ideas. Patients that have had the experience of being in patients at different times during the period of time we have been working with Star Wards ideas have reported that their journey through this difficult time has been improved greatly and their experiences much more positive by the introduction and development of Star Wards ideas and all in all have felt that their stay in hospital a much more bearable experience. I am not exaggerating the buzz it is causing here, it is so energising. Patients feel more empowered, this creates more motivation, improved relationships between staff and patients, staff and staff, less division, more optimistic attitude, improved mental health for patients and some discharges which I believe have happened sooner.